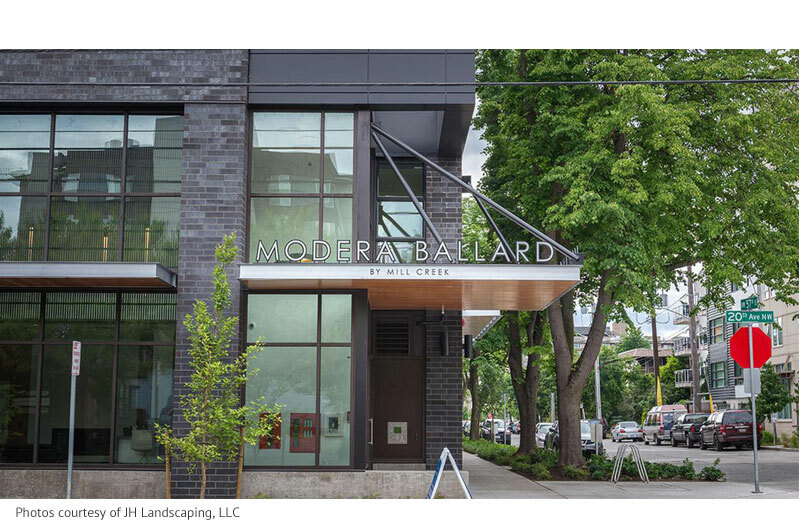 This project sits within easy walking distance to the neighborhood library, Ballard Commons Park, historic retail district and Ballard’s vibrant working waterfront. 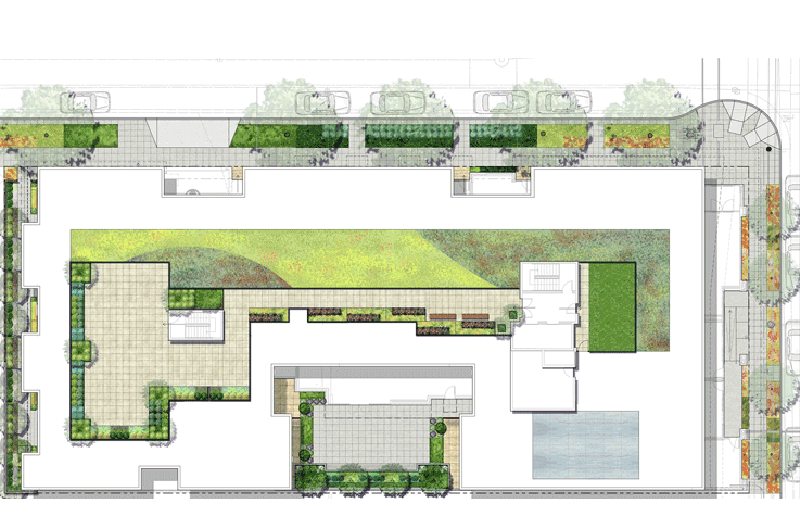 Communita | Atelier worked closely with Tiscareno Associates and their team to provide the full scope of services for the streetscape, club lounge courtyard and rooftop amenity spaces. This entailed extensive coordination with SDOT reviewers and the project arborist, in order to preserve four large Linden trees along the northern frontage. The stately trees provide an immediate sense of place for the Live-Work unit entries off of 57th Street. The lounge space features a two-way fireplace that is shared with the south-facing courtyard. 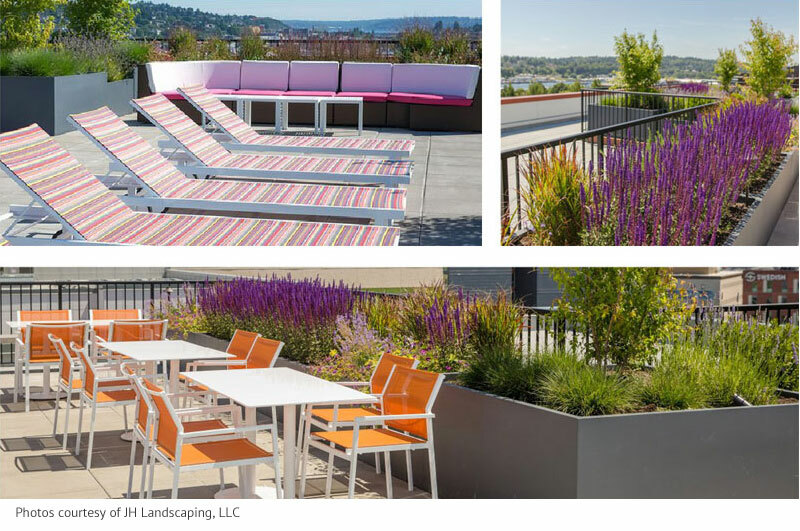 The rooftop amenity space includes generous dining, casual seating and lounge spaces — as well as a separate dog run area — all with territorial, south-facing views of Salmon Bay and Lake Union beyond.